There is widespread coverage on broadcast and in papers of today’s launch of the Online Harms white paper. The Telegraph front page reports that Britain will have the toughest internet laws in the world. This comes as the Government unveils proposals for a duty of care enforced by an independent regulator, which will have powers to impose fines, potentially prosecute directors and block unsuitable sites access to UK users. The Telegraph notes that there is concern at the scope of the law, which covers messaging apps, online forums and online comment sections on newspaper websites, with the Society of Editors saying it could have a “chilling effect” on free speech and open the way to press regulation. The Telegraph also says that tech giants have signalled they will fight key parts of the proposals, reporting that sources close to Google and Facebook argue the powers could threaten freedom of speech and the targeting of smaller media companies could stifle innovation. The Guardian reports that private landlords are warning EU citizens will face problems renting properties because of Brexit. 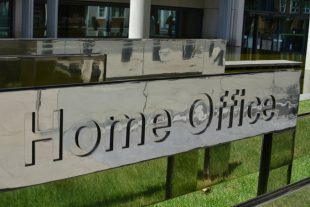 The article notes that the Residential Landlords Association (RLA) says the confusion over Brexit means some are likely to refuse EU citizens as tenants because the Government has failed to give them instructions over the settled status scheme. There is no change to the checks landlords are required to carry out when renting to EU citizens until the end of any transition period and they are not required to distinguish between EU citizens who were resident before exit and post-exit arrivals, nor conduct retrospective checks on anyone they have rented a property to. We will be meeting representatives from the landlord and letting sector later this month as part of the Right to Rent consultative panel and further guidance will be published shortly. The Sunday Times reported yesterday that gun owners are receiving a £10 million subsidy from the taxpayer because licence fees have not risen for four years, according to David Jamieson, PCC for the West Midlands. The article notes that rising levels of gun ownership and the increasing costs of carrying out medical and background checks on those wanting firearms are blamed for creating a drain on police resources. The government is committed to ensuring an efficient and effective firearms licensing system and to achieving full cost recovery for police. Fees for firearm and shotgun certificates were increased in 2015. The increased fees, combined with introduction of a planned online licensing system, are aimed at enabling police to move closer to recovering their full costs. We will carry out a comprehensive review of fees in 2020.